We are committed to ensuring our young people be given the opportunity to have a complete, happy and successful career at Bancroft's, leaving  as confident, well-educated and competent adults, ready for the challenges ahead. We promote enthusiasm, perseverance, tolerance and integrity, the human qualities necessary to flourish within a community. The purpose of our entrance process is not to make Bancroft’s more academically selective, but to help us make offers on a controlled basis to candidates we feel will benefit most from the distinctive education we offer. We receive many more applications than we have places. Some candidates may be placed on a waiting list following the examination and interview and may be offered places if vacancies arise. Our pupils come from an eclectic mix of backgrounds and we greatly value our multi-ethnic and multi-faith community, believing it to be an ideal nurturing ground for our future society, developing understanding and respect for individuality and for those around us. The School applies the entrance criteria to all potential pupils regardless of any disability, race, gender, ethnicity or sexual orientation of which we are made aware and will make reasonable adjustments where necessary in order not to put a disabled student at a substantial disadvantage compared to their peers. The School asks parents to inform us at the time of application, of any disability or issues, which may potentially cause concern. In assessing candidates the School may take advice and require assessments that are deemed necessary, but will be sensitive to any requests for confidentiality. There are two main ages of entry to Bancroft’s: at 7+ (into Year 3) and at 11+ (into Year 7), in addition we admit smaller numbers at 16+ (into Year 12). Places may occasionally become available at other ages as families move out of the area. 7+ (into Year 3). Entrance is by our own competitive test, held in January of the year of entry. Candidates will be invited into the Preparatory School on two separate occasions. 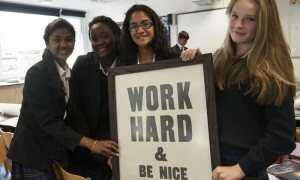 We recruit about 60 pupils at this age, from a very wide range of independent and state schools. 11+ (into Year 7). We recruit approximately a further 60 pupils at this age, from a very wide range of independent and state schools. Entrance is by our own competitive exam, held in January of the year of entry, which involves papers in English and Maths. 16+ (into Year 12). 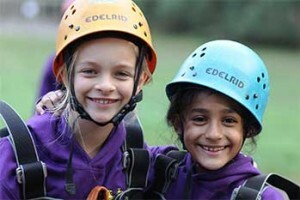 We recruit between 10-20 pupils at this age, from a wide range of independent and state schools. Entrance is by our own competitive exam, held in November of the year before entry i.e. 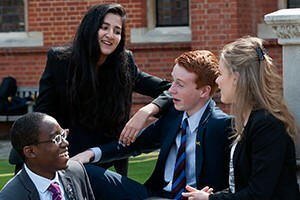 at the beginning of Year 11; all candidates will sit a problem solving and critical thinking test as well as selecting two papers from the list of subjects on offer for the entrance exam; these should be subjects they wish to pursue at A Level or subjects which relate to those that will be taken. We may also offer fee paying places on the basis of GCSE results once these are published in August. Parents of applicants are informed by an agreed date of the outcome of the application. No specific marks (raw or percentage) or grades will be given. The papers themselves are not released. Examination scripts are exempt from Section 7 of the Data Protection Act. The entrance test results are final and there is no appeal process. The School awards Drapers’ Scholarships, Francis Bancroft Scholarships, Foundation Awards and Music Scholarships. In assessing potential scholars, we look for academic leadership and intellectual curiosity. We try to distinguish the bright from the well drilled, the inspired from the effective and we aim to uncover flair. Considerable time is taken to ensure that the process is fair. Candidates who are not awarded a Scholarship may be offered a fee-paying place at the School. Those who have applied for scholarships only are not considered for fee-paying places, even if their performance was good enough to have earned them a place in the School. Candidates who are offered a Scholarship must also fulfil the minimum entry requirements. These awards continue whilst the pupil maintains their educational potential and abides by the School rules and policies. Academic (Drapers’) Scholarships each covering up to one tenth, one quarter, one third or one half of the School fee are normally available on the basis of academic distinction in the entrance exam and at interview at 11+ and 16+, without reference to parental income. Competition for scholarships is high. There is no separate examination for those wishing to be considered for scholarships. School reports and interviews are a vital part of the selection process. Means Tested Awards (Francis Bancroft Scholarships & Foundation Awards) are designed to support pupils of high ability whose parents provide evidence that they might not otherwise be able to afford the full school fee. Bancroft’s has a long tradition of taking pupils from a variety of backgrounds, and participated in the Direct Grant and the Assisted Places Schemes. The School now continues that tradition by offering up to 12 Means Tested Awards. The places are awarded on the results of the entrance examinations at 7+, 11+ and 16+ with school reports and interviews playing an important part. The value of an award depends on a number of factors, including total income and the number of dependent children. The assessment of the level of financial assistance is calculated on a graduated scale after parents/guardians have submitted a comprehensive confidential statement of their income and assets, on a duly completed Financial Disclosure Form (FDF), together with any additional information, confirmations, and supporting documentation, which may be required. Up to two Music Scholarships (11+ and 16+), each worth either up to one quarter or one half of the School fee, are also offered to children with outstanding musical talent.